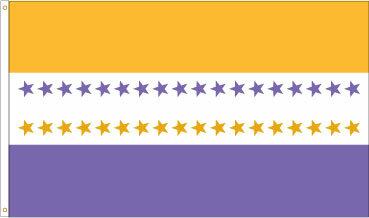 Suffragette Flag: Flag of the National Woman's Party. They were American women who wanted to vote. In silent non-violent protest they stood in front of The White House holding flags and banners which quoted President Wilson's own speeches about democracy. They remained there in shifts for months regardless of weather. But no one had ever picketed The White House. Their action was viewed as unpatriotic in some circles. Then, US entry into WWI increased the mob violence against them. It was war time and they were accused of "being against The President". They were labeled "unpatriotic." Children spit on them. 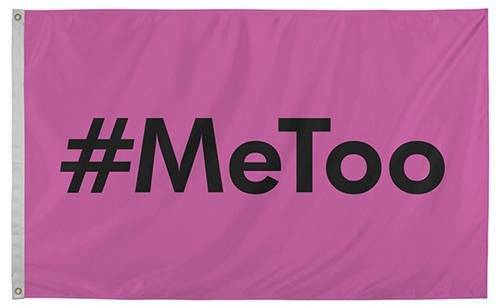 Men assaulted them. The police stood by and watched. The government arrested the women themselves, rather than their attackers, for "obstructing traffic." Remember it the next time you don't vote. Demonstrations spread to other cities. The women were beaten by police in Boston. In New York, they were "attacked by police, soldiers and onlookers." Hundreds of them were arrested for "obstructing traffic." In defense of their civil liberties, many who could have avoided prison by paying fines refused to so. Their position was that they had not broken any law and that their arrests were politically motivated. 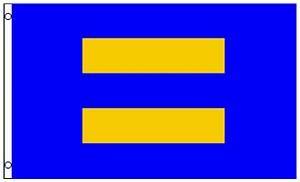 The Wilson administration refused to yield and its tolerance dwindled. All they wanted to do was vote. With the escalating political climate, earlier government leniency gave way to harsher sentences and treatment. Prison "became more closely synonymous with compromised health and bodily harm." Conditions included primitive sanitation, meager food full of insects and worms, isolation, psychological duress. Their protests continued in jail with hunger strikes and refusal do their work assignments. "The Night of Terror" November 15, 1917 in Occoquan Work House seems to have been a calculated attempt to end the picketing. Women were beaten, knocked unconscious and handcuffed with their arms above the head. The government tried to get their leader, Alice Paul, declared insane. 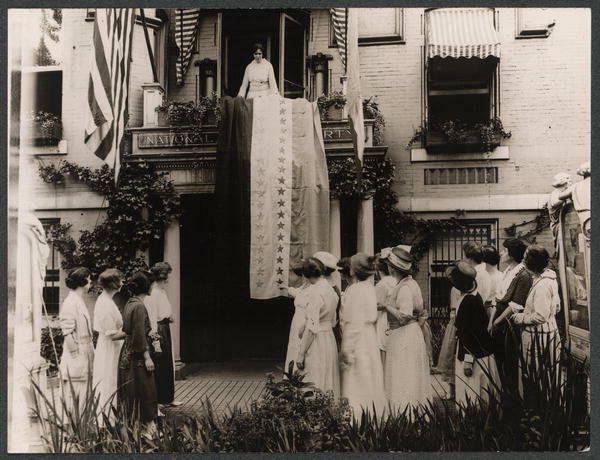 On March 4, 1918 A US Federal Appeals court declared unconstitutional the detainment of all White House suffrage pickets. No one was prosecuted or even in trouble for their unlawful arrests and imprisonment. And arrests would still go on elsewhere. In the end, they won. President Wilson changed his position to support women's suffrage. By the time it was achieved with the 19th amendment in 1920, 168 NWP members had served time. 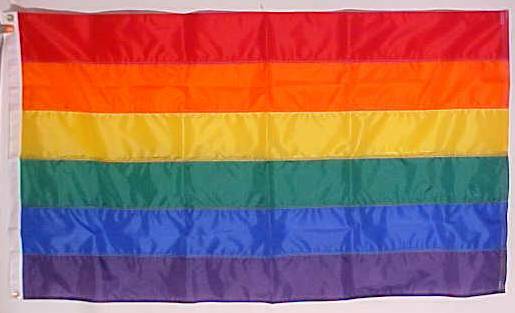 This is the flag they used to celebrate their victory. 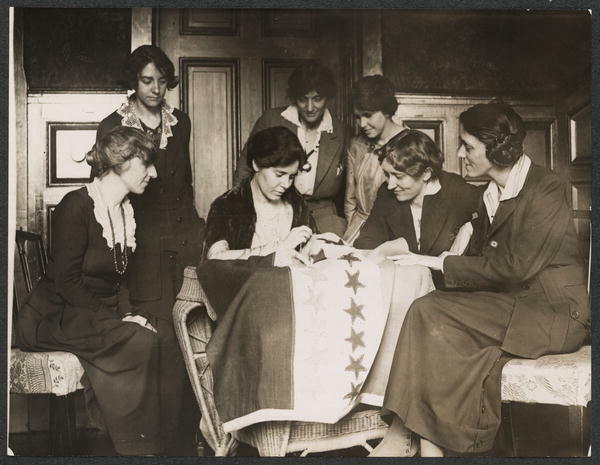 You see, as the 19th amendment made its way through the approval process, the ladies sewed a star on their flag each time another state ratified it. and her son Harry, a state legislator who opposed ratification. On August 18, 1920 the legislature was deadlocked and so the measure would fail. Then in a moment of high drama, 24 year old Harry Burn suddenly changed his vote in a role call. That morning he had received a letter, still in his pocket, from his mother in which she urged him "Don't forget to be a good boy" and to "vote for suffrage." He did. Pandemonium resulted. Women were screaming, weeping. Burn was chased from the room and had to hide in the attic. The next day he took the floor and gave reasons for having changed his vote. Among other reasons he stated "I know that a mother's advice is always safest for her boy to follow, and my mother wanted me to vote for ratification." 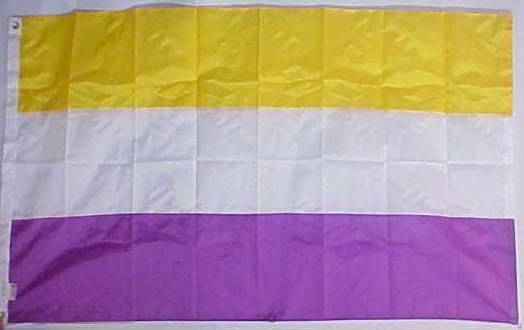 Upon the news that the struggle was over, Alice Paul unfurled this now completed flag from the balcony at National Woman's Party headquarters in Washington DC. The organized struggle, begun 1848 in Seneca Falls, NY, had ended in Nashville, TN. It had taken the combined efforts of millions of women. Their ultimate willingness to be arrested and abused had finally shocked the nation into supporting their cause. 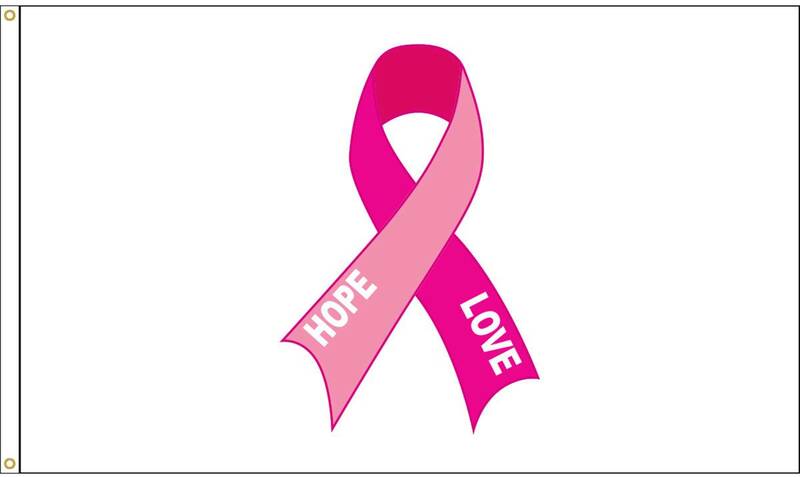 Those who had begun the struggle did not live to see the victory. Those who completed the struggle were not born when it had begun. 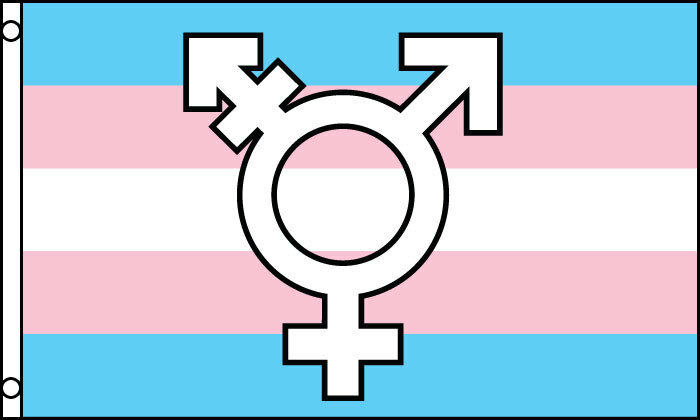 Where would we be without people among us who are willing to change the world? 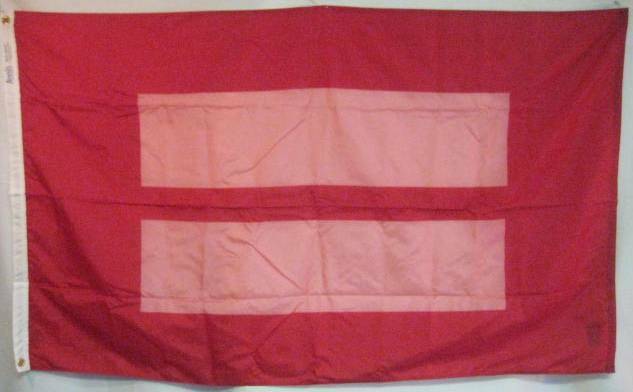 This was their flag. Remember it the next time you don't vote! The Justice Bell was a response from the women's suffrage movement to the promise made to all of us by The Liberty Bell. Katharine Wentworth Ruschenberger of Pennsylvania paid for the bell which was cast by Meneely Bell Co in Troy, NY. In June of 1915, the same year The Liberty Bell was making its last and biggest tour out to the west coast and back, the ladies began a road trip of their own. They hauled their Justice Bell 5,000 miles all over Pennsylvania to promote an amendment to that state's constitution giving women the right to vote. The clapper of their bell was to remain chained, locked in position, rendering the bell silent until women received the liberty promised to us all. 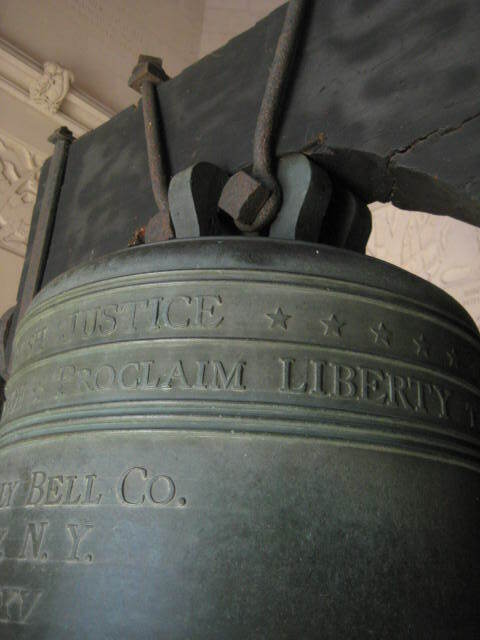 After the Pennsylvania amendment failed, The Justice Bell was used to promote the cause at events in Chicago and Washington DC. The 19th Amendment was proposed on June 5, 1919 and ratified on August 26, 1920. The following month, a celebration was held in Independence Square and following a speech by the Governor, the clapper was unchained to "ring in justice." The women who began their fight for justice did not live to see it won. The women who completed the task had not been born when it began. In the end, they all prevailed. 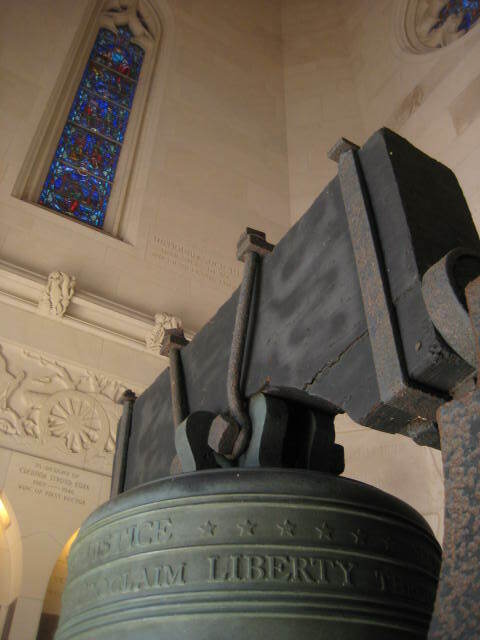 Today The Justice Bell can be visited at Washington Memorial Chapel within Valley Forge National Historic Park.